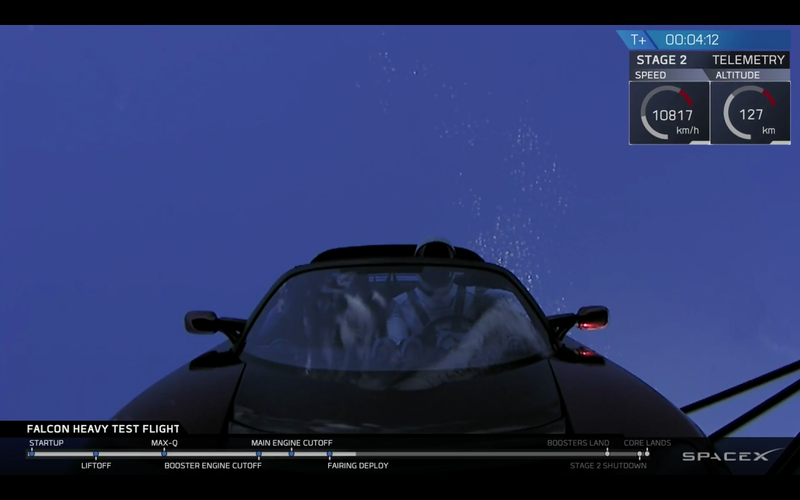 MSE Creative Consulting Blog: "Have a Good Ride, Buddy, Go!" Those were the immortal words of John Glenn (capsule communicator) to Gordo Cooper (pilot) just after liftoff of the final Gemini flight in 1963 as depicted in Philip Kaufman's The Right Stuff as Cooper's flight lifted off against a blue Florida sky. 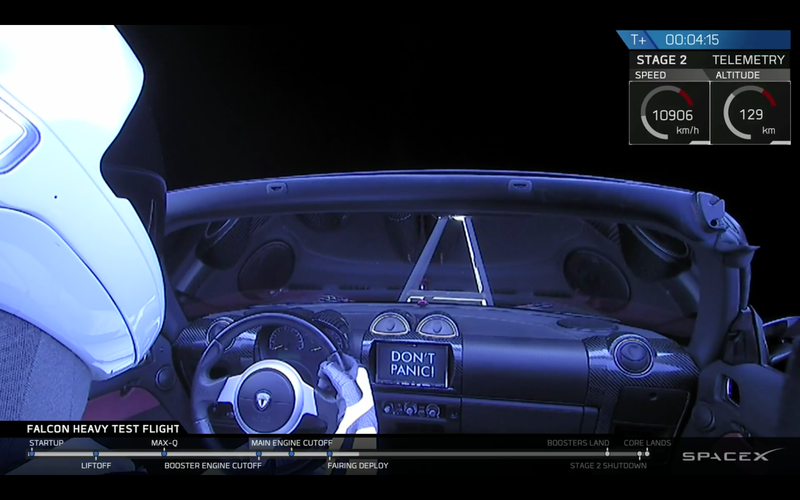 I thought of those words during the thrilling test launch of "Space-X Falcon Heavy" this afternoon. The large rockets made a beautiful sight but that is hardly all. The onscreen data made it easy to follow along with the enthusiastic commentators, something from which NASA could learn. Falcon Heavy paid homage to Hitchhikers Guide to the Galaxy with Starman in a Tesla put into space. And, then, as if all of this wasn't enough, the two side boosters came back to earth in a simultaneous landing. 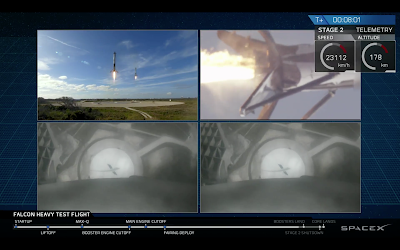 The two side boosters landing at upper left, closeup of one of them at upper right. The main (center) booster was supposed to land on a barge in the open Atlantic. We do not know if that was successful. I'm a little skeptical at the moment but I'd love to be proven wrong. 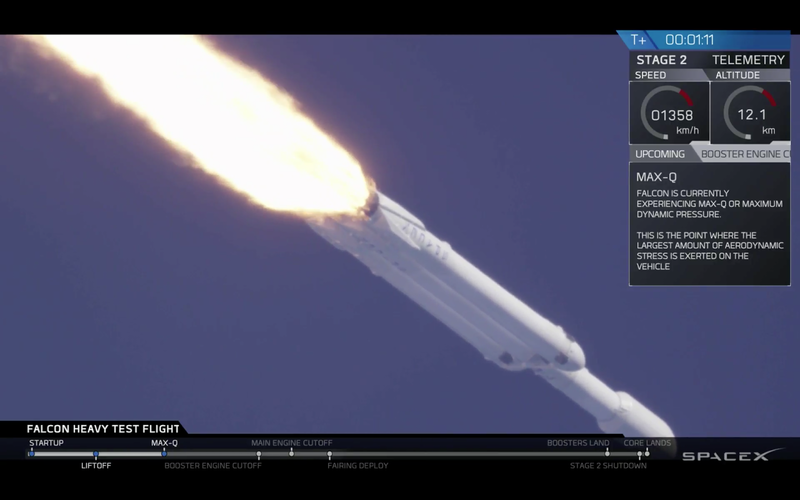 This was an amazing, and thrilling, test. 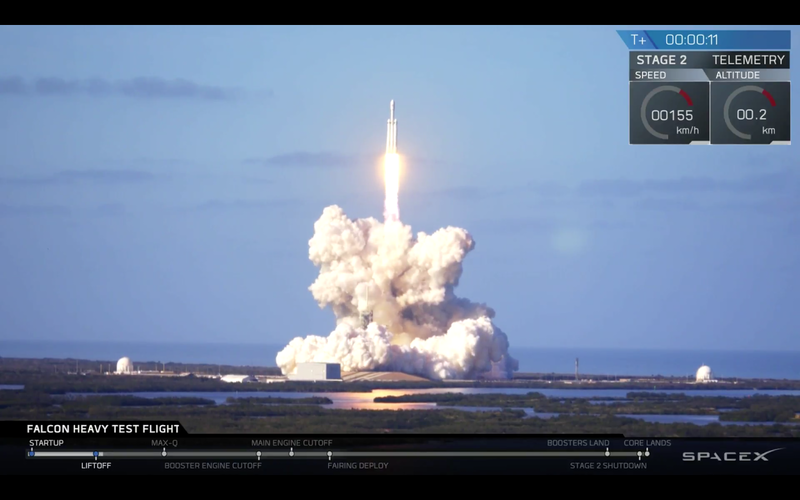 Innovation and science are really cool regardless of which branch of science scores that latest achievement. I hope science teachers throughout our nation use this as an example. Addition: The image below was a capture from their live feed a few moments ago. Just wow. If you wish to follow the live feed, click here. Make sure you click the "Live" button at the bottom. 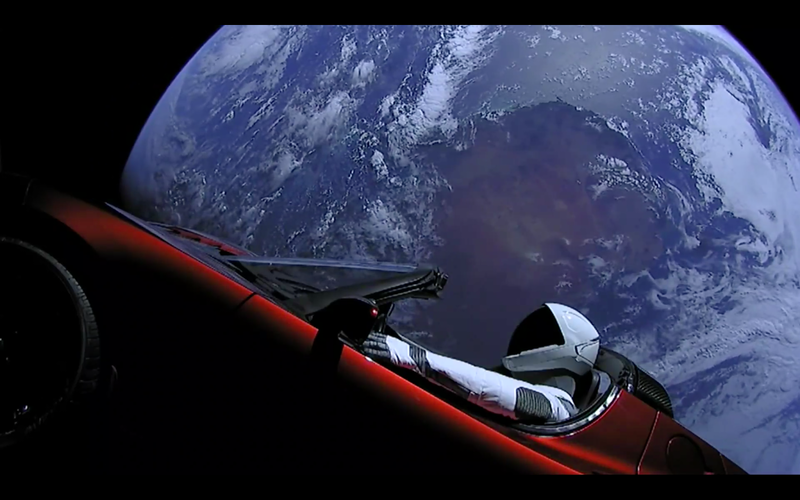 Addition II: Elton Musk, the owner of Space-X and Tesla, just sent this image out on Instagram. 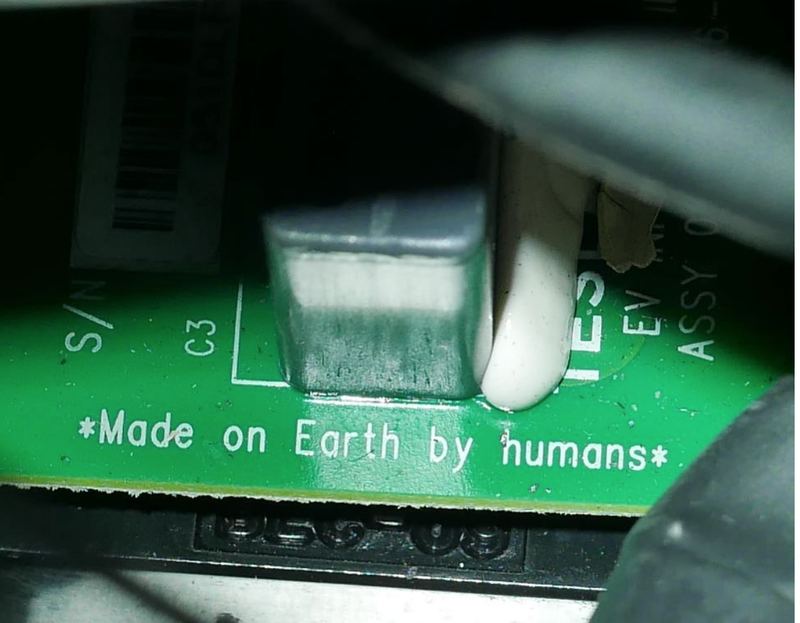 It is on a printed circuit board inside the launched Tesla.